Properly placed and maintained landscape plants can increase the value of real estate. However, poor plant choices can become a maintenance problem and create an unsightly landscape. 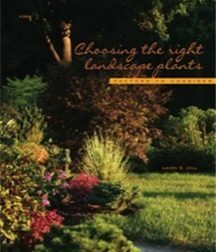 Factors to consider include climate; plant function; size, form, and growth rate considerations; ornamental and cultural considerations; and plants’ native origins. 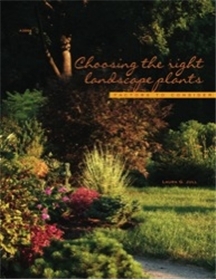 This booklet will help you to plant the right plant in the right place (22 pages).